Royal Dutch Shell’s decision to plough ahead with plans to host a ship named after a Nazi war criminal in UK waters has provoked outrage and despair among Jewish communities and Holocaust memorial groups. The vessel is named after Pieter Schelte Heerema, a notorious Nazi war criminal who was a member of the Waffen-SS during WWII. As part of his military role, Heerema delivered slave labor to the eastern front throughout the conflict. Having failed in its efforts to get the vessel’s owner to change the name of the ship, Shell is set to launch the boat in UK waters in coming weeks. The move forms part of the energy giant’s broader agenda of decommissioning an oilfield off the coast of Scotland. As part of this process, Shell has tendered plans to the British government to use the “Peter Schelte” vessel to remove the Brent Delta oil platform from the East Shetland basin. The oil rig, which consists of a 23,500 ton steel framework, will then be dispatched for scrapping. The “Peter Schelte” ship is currently docked in Rotterdam, where its construction is almost complete. Edward Heerema, the son of Pieter Schelte Heerema, named it in memory of his father. The vessel’s planned presence in British waters has sparked anger and despair among Jewish groups throughout Europe. Vivian Wineman, chief of the Board of Deputies of British Jews, said he will challenge Shell’s plan to introduce the ship to North Sea waters. “We call on Shell and the government to insist the ship is renamed,” he told the Financial Times. Shell said it had backed a campaign, spearheaded by the Dutch, to have the name of the ship altered. Its owner, the chief of Swiss-based energy firm Allseas, however, refused the demand. “Shell believes that the name of the vessel is inappropriate. We have raised our concerns with Allseas and asked them to consider changing the name,” the firm told the FT.
“However, the name of the vessel is a matter for Allseas alone, and one for Allseas to justify,” it added. The issue has reportedly been considered by Shell’s top management. 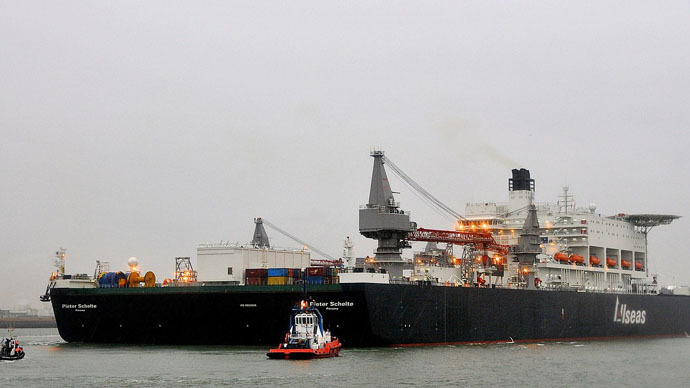 But the crane ship is the only one in the world capable of lifting the energy firm’s mammoth Brent oil platform. The Brent oil field, at the center of the controversy, has yielded 2 billion barrels of oil and almost 6 trillion cubic feet of gas since production began in 1976. Esther Voet, chief of the Dutch Centre for Information and Documentation on Israel (Cidi), which fronted the ship’s renaming campaign, denounced Shell for deciding to use the vessel. “This is a bloodstain on the name of Royal Dutch Shell,” she told the FT.
Pieter Schelte Heerema lived in Venezuela prior to the war, and made his way back join the Nazis after Germany invaded the Netherlands. After his conviction, he managed to convince a judge he had severed ties with the Nazis and worked for the Resistance. Although Heerema’s testimony has now been discredited, the judge believed his story and halved his sentence. 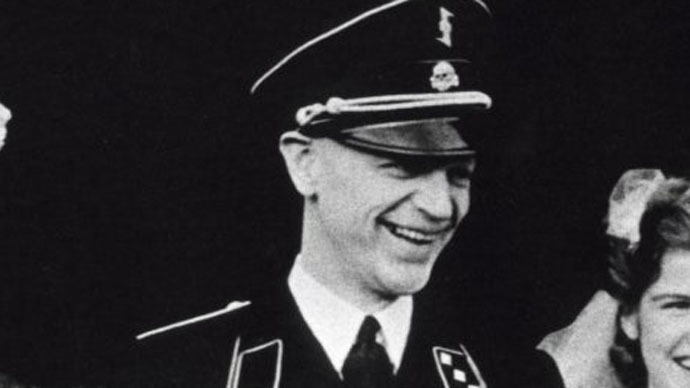 The former Nazi soldier later founded a successful oil services firm in the Netherlands called Heerema.